An original, signed work of art in acrylic. Measurements are 48 x 38cm including rustic wood effect frame. 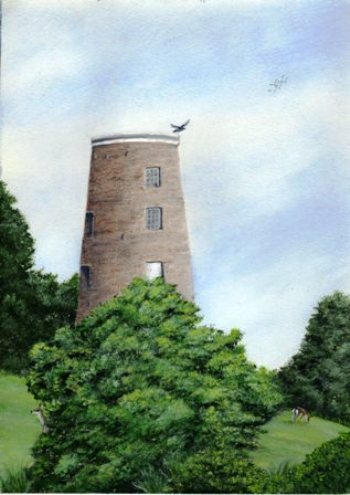 A painting of the old windmill which stands on a hill near my home in Northumberland. 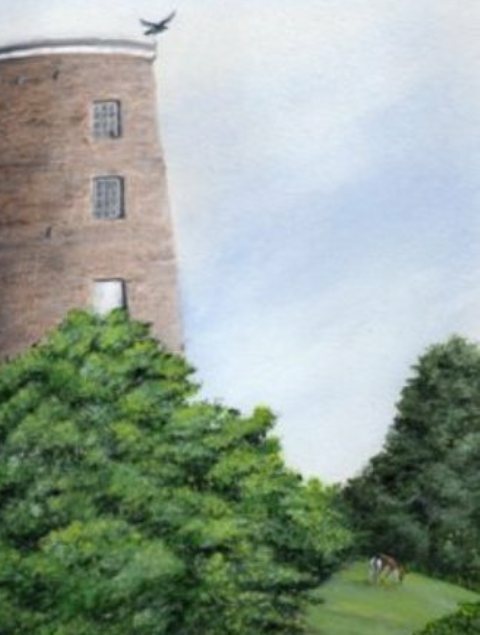 It has lost it's sails, wnidows and doors, but still stands proud being a local landmark and loved by all the villagers. 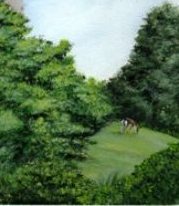 It is surrounded by woodland and pathways and there are often deer seen nearby.